Many of those currently reading The Reason I Jump may not be aware that Naoki learned to type using a controversial method known as facilitated communication. In common with many of those with severe autism who type independently he needed a period of physical support. He describes the process by which he learned to write and point independently, and why he needed this support in this mini lecture. His is an increasingly common story, and as the word spreads and more people try this form of communication then we are likely to come across others saying the same thing. The official (and negative) view of faciliated communication can be found here or on Ben Goldacre’s Bad Science blog. My own view is that we shouldn’t be throwing the baby out with the bathwater and the people who now type independently and who have said they needed a period of physical support to get to that stage should not be ignored. They have worked hard to develop their voice and we should be listening to them. There is a balance to be found between providing necessary support and working towards independence. I do believe that working towards increasing independence is important because frankly, many discount a voice that is not fully independent. I was reading The Reason I Jump at breakfast this morning and this passage jumped out at me: I think the reason why some kids with autism try to get hold of an object by ‘borrowing’ someone else’s hand is that they can’t tell how far they need to extend their own arms to reach the object. They’re not too sure how to actually grab the object either, because we have problems perceiving and gauging distances. This was particularly relevant this morning because an hour earlier this article about Watson Dollar finding a way to communicate in his twenties had popped up on my Facebook newsfeed. It includes the following passage: Watson initially found it easier to grab his mom’s hand and guide her outstretched finger to type words rather than extend his own. He doesn’t do that much anymore but still prefers to clutch her hand while he types with his own finger. A heartwarming video of Watson can be seen here on the USA Today website together which clearly shows his method of clutching his mother’s hand. In Archie’s case he finds typing difficult, he finds language difficult and he finds literacy difficult. A huge advantage of the Vantage Lite for us is that it’s easy for him to use and he can use it independently. I do automatically tend to demonstrate new words to him hand over hand (I still teach a lot of things hand over hand), but after one or two demonstrations he can access that word independently. This independent use means that he is believed, and with reference to my last post is able to demonstrate competence. As he becomes more able to communicate and as his expressive language develops I fully intend to introduce him to typing via the iPad as well. If he needs some physical support to get going I won’t hesitate to offer it. 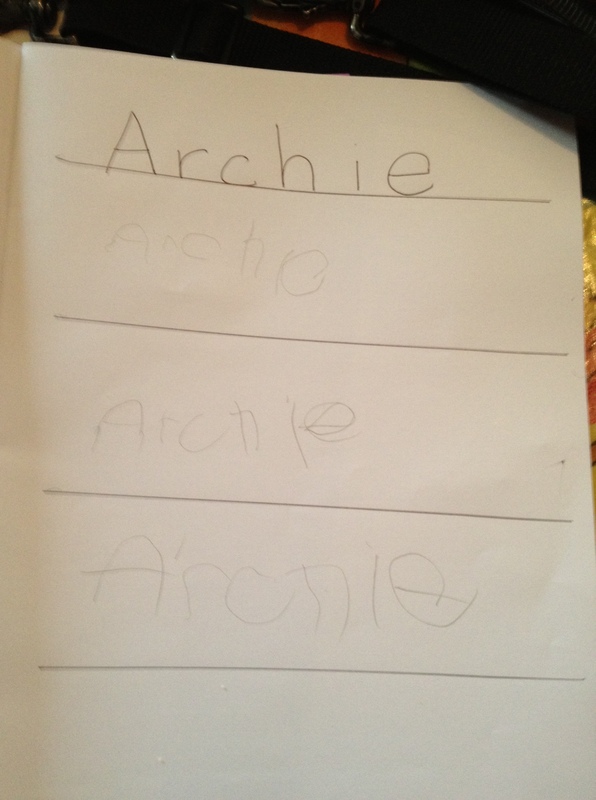 The photograph below shows some of Archie’s recent writing. Whilst he is not using writing to communicate he can now write his name without support, but it has taken many years of hand over hand practice for him to be able to produce this independently. It would perhaps be more surprising if support was not needed. A couple of further links for those interested in Naoki Higashida after my last post. (1) An article in today’s Guardian by David Mitchell: Learning to live with my son’s autism. Although, as always in these articles there are some areas where my view differs a little it’s a powerful piece of writing, with of course many shared moments. This is something fairly typical, when meeting parents of children with special needs you find that although you might be virtual strangers your lives have so many shared moments you’re practically family. (2) A link to video about Naoki Higashida by the Facilitated Communication Institute of Syracuse University, I write so I am alive. (You need to scroll down, although they’re all worth watching). 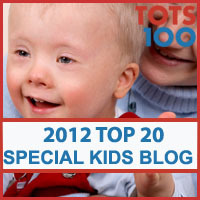 Thank you Lisa from Aut2Communicate for the link. On watching the video at first I thought that Naoki was very much more organised than Archie, for example he was catching a ball and appeared calm and pretty much in control of his actions. Then Naoki started running and jumping, and hitting and biting himself and he looked very much more like Archie. Something I have noticed very recently is that as Archie progresses with the talker, and routinely produces longer sentences he is also becoming a little more organised. He can copy out words now, and he will sit at the table and concentrate on his homework (once we’ve managed to drag him away form his iPad). For a while now I’ve felt that one of Archie’s greatest problems has been his lack of oganisation and his slavery to involuntary movement and actions. It’s hard to complete a thought if it is always interrupted by the need to run and jump. It will be interesting to see how his emerging calmness and ability to concentrate develops. I am hopeful that it will continue to improve and lead us to exciting new places. I don’t listen to Radio 4 that often. Archie likes music in the car, and Radio 4 therefore isn’t really tolerated. Luckily my parents only listen to Radio 4 (unless Folk Night is on) and they have been enthusiastically relaying this week’s Book of the Week. The Reason I Jump: One Boy’s Voice from the Silence of Autism is written by Naoki Higashida – a severely autistic boy living in Japan who has learned to communicate using a letterboard (a link to the roman version, rather than the hiragana, but same idea). Translated into English by the author David Mitchell and his wife K.A. Yoshida it promises to offer a fascinating insight into autism along the same lines as that provided by Lucy’s Story: Autism and Other Adventures. Excerpts have been read on Radio 4 this week- and if you are reading this around the end of June may still be available on iPlayer. I’m very fond of Japan – I lived there for a year, and even taught in a special school that catered for children with autism and learning disabilities – so I tend to read a lot of (translated) Japanese literature. This book is going to be a particular treat (and I’ll probably cry when I read it). It’s on order. Just a quick link really for this post, from the Speak for Yourself blog. They make the point that typical children are given at least 2 years before they’re expected to combine words, whereas children given AAC devices are often expected to produce sentence quickly. They then go on to talk about it being better to have to combine words yourself rather than use pre-programmed phrases (I agree with their comments on the whole btw, even if the occasional pre-programmed phrase does no harm, on the whole I think it is better to learn to produce those phrases from single words). I wanted to add to this my observation that Archie really did need some time just using his device at a single word level. He has explored the device himself, he is now very familiar with it & with that familiarity he has begun to produce more complicated phrases. 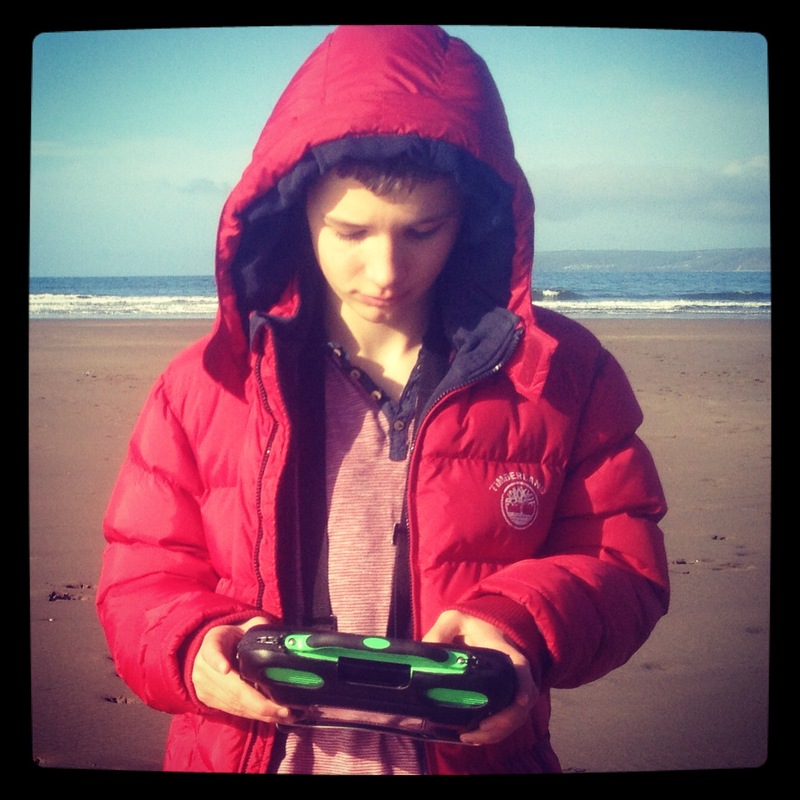 I’ve been struck by how typical his language development with the device has been, when compared to the speech development of his two younger brothers. He went from single words to comfortably combining two words to longer phrases – now they can be very long indeed. He’s also made corrections, so whereas ‘not’ always used to appear at the end of a sentence it’s now, more often than not, found in the correct place. None of this has been achieved with intensive therapy, his development has taken a very natural course – the vantage lite just providing him with the voice to do that. There are times when the difference the talker has made to Archie’s life hits me between the eyes, this week has been one of those weeks. The first moment was when my Mum phoned. Archie grabbed the phone from me and said “Friday granny sweets Joseph Louis school”. He was reminding my mum that Friday is tuck shop day at Joseph and Louis’ school and he wanted some sweets. What he said wasn’t all that surprising – but the fact he was having a telephone conversation was nothing short of incredible. The second was today. Archie was given a role on the school council and formed part of an interview panel at school interviewing candidates for (I presume) teaching jobs. No silly questions about dinner parties with anyone living or dead, he just wanted to know favourite foods. That he can take part in interviews these days is somewhere beyond incredible. It shows in simple terms how much the talker has given him. There’s a line in Priscilla Queen of the Desert (well the musical version anyway) where Tick introduces his son to Bernadette with a ‘SURPRIIIIISE’ and Bernadette falls over. It’s funny and it’s been replaying in my head this week quite a bit. First time was when I asked Archie his address. And he told me. His address isn’t stored as a phrase, he had to find each word separately, which he did without difficulty. He knew his house number as well. Next surprise was when I sat down with him to read bloody Biff and Chip (I clearly celebrated too early when Louis finished Biff and Chip a few years ago) with him this week. I decided to point to a few words to see if he could read them by finding them on the talker. Mum, Joe, dinner, carrot, eat, and, home, finished were no problem at all. He found them without hesitation. After one page he’d had enough of reading, but still I was impressed. 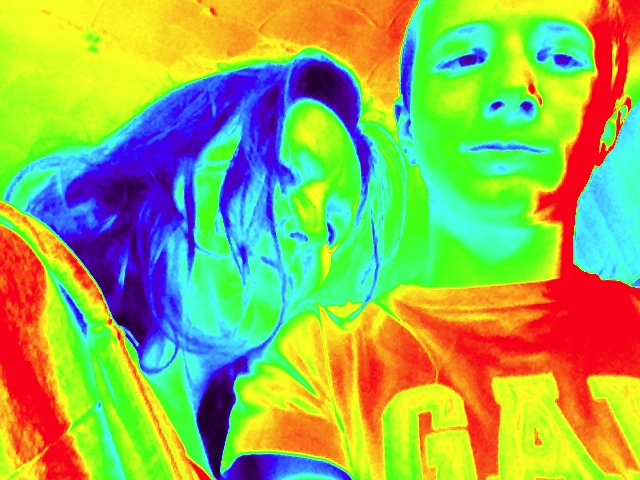 This was done with a typical teenage reluctance to engage in homework (one eye on the iPad). I thought it time to update with a couple of short videos, these were taken today. Notice how he’s now playing whole phrases after he’s found each word. Also ‘not’ seems to have moved into the correct position in the sentence. And there’s a little joke where he says yes to something he knows he isn’t getting. Notice as well how at ease he is producing these longer sentences. For the first ten years of Archie’s life I probably made pretty much every decision for him. Until he was about 5 he had really no concept of having a choice and would treat every suggestion as a command. To complicate matters further it took until he was about 10 before he had a functional yes and no. By this I mean it took that long until he had a way to communicate yes and no and an understanding of the concept of yes and no, in other words an understanding of what yes and no actually means. It’s hard to imagine not understanding the words, but they’re abstract and for a long time Archie didn’t. The upshot of this was that we couldn’t have simple ‘do you want to go to the park’ type conversations because Archie had no way of saying yes, or indeed no. Gradually we developed a simple way of offering choices; ‘would you like this or this – using a picture or symbol to offer the choice’. If Archie wanted neither option then we would start a guessing game. It was slow, frustrating and often resulted in no resolution. Once an understanding of yes and no developed it made running through options easier but we were still limited to me having to think of various options while hoping to stumble on an acceptable one. Archie’s choices were limited to my imagination and he struggled to communicate a choice without me first offering it. The talker has made all this much easier, and this improved communication has resulted in less frustration and Archie being able to have more agency over his life. We had a fine example of this this week. I booked a surf for today as soon as I realised that Archie had a non-pupil day at school. It seemed ideal, his brothers would be at school and it would occupy the first day of the half term. Except last weekend he went down with a really grotty cold. He’s been insisting on going to school but has been coughing and spluttering all week and really didn’t seem to be 100% fit to be dunked in the sea in February. In the past this would have been problematic. If I had said something was happening it had to happen, or a massive meltdown would result. There was no way to negotiate an alternative or even explore what Archie actually wanted to happen. I had to try and guess. And, as might be expected, frequently guessed wrong. The talker has made all this easy. By Wednesday when he was still spluttering everywhere I reminded him he was booked in to surf on Friday, but asked him whether he wanted to go given his cold. Different day came the reply. I was able to check ‘do you want to surf on Friday?’ no. So I asked when. Sunday. Okay Sunday, but he clarified further. Downham Saturday surfing Sunday. He wants to surf the Sunday after he’s been to respite on the Saturday. And all decided without a meltdown or me having to tie myself in knots trying to guess what he might want to happen. The day pinpointed all I have to do now is keep an eye on the surf forecast. If it’s forecast to be flat we’ll use the talker to renegotiate.